This play revitalised Scottish theatre. A Scottish history lesson delivered as 'a good night out' with comedy, music and drama. It still sings off the page today, and is vividly remembered by those who saw it. 'The Cheviot' is one of those rare plays that changed people's lives. 7:84 (Scotland) Theatre Company. First reading at the 'What kind of Scotland?' conference, Edinburgh, 31 March 1973. 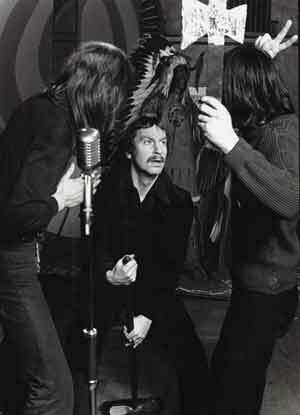 First performance at Aberdeen Arts Centre, 24 April 1973. 'The Cheviot' drew on recent research into Highland history, on Gaelic song and the ceilidh tradition, and on the Scots’ love of variety and popular entertainment to create something quite new. 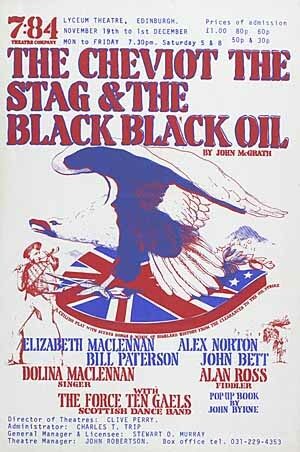 John McGrath called it 'a ceilidh play', and it tells the story of the exploitation of the Highlands, from 1746 to the (1973) present. The post-Rebellion suppression of the clans, the Clearances, the shooting estates and the oil boom are all dramatised through a mix of quotation from original documents, reportage, Gaelic language and song, music and broad comedy. 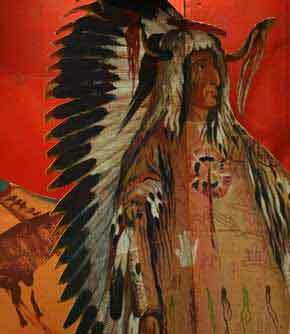 The play also tells the less well-known stories of local resistance. And it's that fight which it hands on to its highland audience. This play has influenced generations of playwrights and directors, in Scotland and beyond. 'The Cheviot' also took professional theatre to a whole new public. John McGrath did not invent touring theatre, but he certainly reinvigorated it, and opened the door to new audiences, venues and – before long – new touring companies. And music, whether Gaelic, traditional or 'music hall' was a huge part of the show, and of its success. 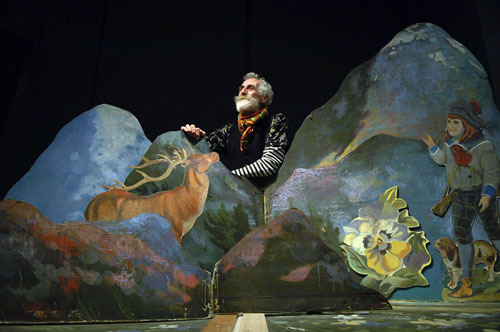 Another innovative feature of the show was the 'pop-up book' stage set, designed and painted by John Byrne. This opened to reveal five different backdrops to the action on stage. John Tiffany, director of 'Black Watch', in a recent panel discussion placed 'The Cheviot' at the forefront of what he sees as a uniquely Scottish style and tradition of ‘total theatre’. And that is one of the reasons why he is excited to be working in Scotland. 'First stop Kyleakin, Skye. The gig – Kyleaking Village Hall. The Audience – the good people of Skye. The Performers – a bunch of folk who didn't seem ready: five minutes to go and they were still setting costumes, tuning instruments and blethering with each other and the audience. 'Where were the curtains, the hushed reverence, the dinner jackets, the blue rinses? '... That night in a community hall in Skye proved to me that theatre was far from dead, as I has assumed it to be. John McGrath was born in Birkenhead in 1935. It was probably his long partnership and marriage with Elizabeth MacLennan that fired his interest in, and commitment to, Scotland. 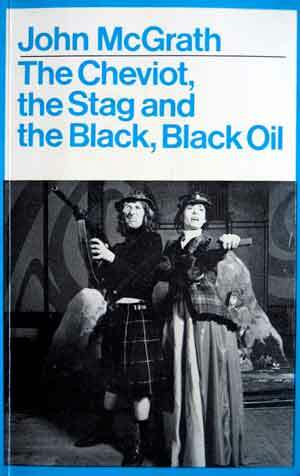 McGrath wrote many plays before 'The Cheviot, the stag and the black, black oil', and many after, but 'The Cheviot' remains his best-known work. He was also active and influential in film and television as a screenwriter, director and producer. His work in all these areas was driven by his socialism – the need to highlight the injustices of capitalism and offer hope for a better future. Such campaigning theatre fell out of fashion, but McGrath also had a great ability to move and entertain. He wanted to offer 'a good night out' to people who did not usually go to the theatre. 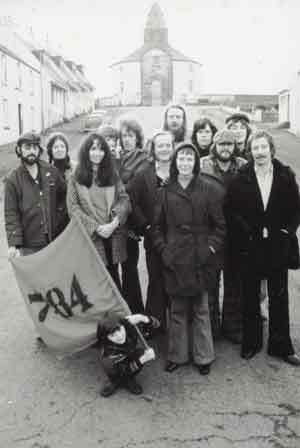 In 1973, McGrath founded 7:84 Scotland with Elizabeth MacLennan and her brother David. In the 15 years that followed, this company staged around 15 new John McGrath plays, and McGrath directed numerous others. He left 7:84 Scotland in 1988, largely because of the politics of funding. McGrath continued writing and working for stage and screen throughout the 1990s and into the new century, until his death in 2002. His last work for stage was 'HyperLynx', a one-woman play looking at complex issues around multinationals and relating their power to the events of 9/11.